Celebrating wetlands for Melbourne Day! Happy Melbourne Day! 30th August. Not a day emblazoned on our consciousness, I must admit. It seems fitting that the RHSV’s Melbourne Day lecture last Friday should focus not so much on ‘founders’ but more upon what was ‘found’ i.e. the wetland landscapes of such fundamental importance to the Kulin people who were already here. Rod Giblett spoke at the RHSV on ‘Lost and Found Wetlands of Melbourne’ acknowledging the ecological richness of the wet lands surrounding the bay, the crucial part they played in the Kulin diet and ceremony and highlighting the changing perceptions of settlers to these areas that were at varying times embraced as clear, open landscapes, or derided as boggy swamps. Melbourne is just one of many cities that is surrounded by wetlands. Giblett’s forthcoming book deals with Melbourne as one of a list of other such cities including Toronto, Perth, London, New York and (as we are even more aware of this weekend with the 10th anniversary of Hurricane Katrina), New Orleans. The early naval surveyors of Melbourne noted the swamps and coastal landscapes on their early maps. The presence of large bodies of water immediately surrounding Melbourne is obvious on early maps that show little more than the Hoddle Grid and the prominence of the Yarra. In his presentation Giblett took us on a “scenic tour of the highlights and lowlights” of the wetlands that surrounded Melbourne. Batman’s Swamp (where Etihad Stadium now stands) was filled with the soil that came from the levelling of Batman’s Hill, thereby topographically extinguishing Batman from the maps of Melbourne (with the exception of Batman Ave). The South Melbourne swamp was transformed into Albert Park, a recreational lake now lapped by Formula One racing cars. The name Fishermens Bend has undergone both linguistic transformations (alternating between Fisherman‘s and Fishermen‘s Bend) and geographical shifts,being taken from a bend in the river near Coode Island to a development precinct that borders South Melbourne. The artificial Coode Canal cut off the original Fishermens bend, created Coode Island, and is now West Gate Park. Bolin-Bolin swamp in Bulleen (the only one of these wetlands to use its aboriginal name) is now used as playing fields by Trinity Grammar. There are other wetlands too: the Carrum and Cheetham wetlands, both prized for their birdlife, the Banyule flats, and the wetlands that became incorporated into the Botanical Gardens. Attitudes towards wetlands have changed, swinging from appreciation at first for their beauty to a desire to ‘reclaim’ them once they had been polluted by noisome industries and sewage, or if they hampered development. The few remaining are increasingly being recognized for their ecological diversity and their function as ‘the kidneys’ of a city. There is a world-wide movement to ‘daylight’ rivers and wetlands that have disappeared through development, especially in Toronto which is rediscovering the Don and Humber Rivers. The RHSV makes its talks available online and you can find this one (along with other talks as well) at http://www.historyvictoria.org.au/whats-on/lectures/podcasts .It was a fitting Melbourne Day talk (albeit delivered two days early) that reminds us of the use of language in describing landscape and the effects both human and ecological of ‘settlement’. Titled “Nail Can to Knighthood”, this exhibition covers the life of Sir Macpherson Robertson and the significance of his factories in Fitzroy, Melbourne. Australians, it seems, are always being berated for their lack of philanthropy, especially in comparison with the American tradition, but Macpherson Robinson was a Philanthropist with a capital P, and several Melbourne landmarks associated with the centenary of Victoria in 1934 bear his name to this day. A child of the goldfields, Macpherson Robertson was born in Ballarat in 1859 to a Scottish father and Irish mother. The family returned to Leith, Scotland when his father moved to Fiji in search of work and as a photograph in the exhibition shows, this was not a wealthy family at all. To help the family finances, Macpherson took odd jobs, including working in two confectionery factories. 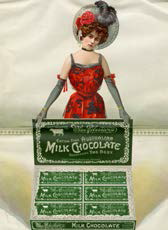 When the family returned to Melbourne in 1874, he started an apprenticeship at the Victoria Confectionery Company. At the age of 21 he started his own business in the family home in Argyle Street Fitzroy, using a nail can and tin pannikin to boil up the syrup that he poured into moulds and rolled in sugar that his mother wrapped in paper cones. Macpherson went on foot to distribute his lollies for sale. From these humble beginnings (and the original nail can and pannikin are on show), he built up a huge enterprise that dominated the suburb of Fitzroy and made him enormously wealthy. He certainly had entrepreneurial flair and knew the benefits of good advertising. 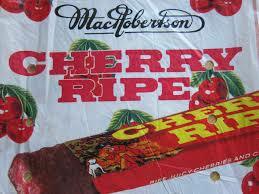 He realized that the name ‘Macpherson Robertson’ was too long to fit onto a lolly wrapper, and so he shortened it to ‘MacRobertsons’. Often his advertising and personal interests converged. When promoting chewing gum (which he brought to Australia after living in America for several years) he spruiked it as being of particular benefit to cyclists. He established a Cycling School, presided over by “Professor Eckenstein” who had taught no lesser luminaries than the Prince of Wales, the Duke and Duchess of Connaught and Lord Lennox! He was fond of cars and sponsored the Round Australia Competition in 1928, and established MacRobertson- Miller Airlines. A croquet aficionado himself, he contributed the land from his own estate in Station Street Fairfield to establish the Fairfield Bowling and Croquet Club, and the MacRobertson Shield is still the most prestigious tournament on the International Croquet scene. He knew how to market his own story as well, with several publications issued during his lifetime that drew on the legend of the nail can. His philanthropy really hit its straps during 1934, the Centenary of Victoria. He sponsored the London to Melbourne International Air Race in 1934, Mac.Robertson Girls’ High School, MacRobertson fountain near the Shrine and MacRobertson Bridge. As you can see, he was not shy in having his name attached to his gifts, and Sir Douglas Mawson likewise thanked him for his sponsorship of the Antarctic Exhibitions of 1929 and 1930 by naming MacRobertsonLand in Antarctica after him. The RHSV has a wonderful collection of material, supplemented by material on loan from a variety of sources. As well as the original tin can, there’s a cabinet of lolly samples which are displayed one drawer at a time for conservation reasons, showing the different sorts of lollies produced by MacRobertsons in test-tubes. There’s some fascinating video footage, complete with sound, and I was interested that, considering he left school at such a young age, he had acquired over his lifetime an upper class, albeit completely Australian, accent. Most intruiging of all was a bust of Macpherson Robertson that turned out not to be as it seemed. What would Willis do…..if he were Dyson Heydon? Since my work on Justice John Walpole Willis, I find myself measuring current events in the judicial/political realm against the criterion of “What would Willis do?” Justice Dyson Heydon, the commissioner sitting on the Royal Commission into Trade Union Governance and Corruption has spent the weekend contemplating whether the fair-minded observer would ‘apprehend’ bias in his initial acceptance to make the Sir Garfield Barwick oration at a Liberal [i.e. conservative] Party function. I wonder what Willis would do were he in the same situation. Of course, the question is moot as the commissions of a colonial judge in the 19th century and a Royal Commissioner appointed in March 2014 are completely different. As a colonial judge appointed by Whitehall, Willis was expected to support the executive government, albeit balancing this against his own professional commitment to the ‘rule of law’. It was this assumption of loyalty to the government that underpinned the whole basis of a colonial judicial appointment. Appointment as a colonial judge was ‘at pleasure’ (the pleasure of the Queen-in-Council and the British Government, that is) whereas appointment as a judge on the English bench was ‘during good behaviour’ with the judiciary intended to be largely independent of Parliament. There are those who would argue (myself included) that this particular Royal Commission is, and has been, political from its very inception. The choice of Royal Commissioner falls to the Prime Minister, and no Prime Minister would appoint a Commissioner that he felt would be inimical to the whole project. Willis often cited Lord Mansfield as a model, most particularly Mansfield’s insistence on not bowing to popular opinion during the Wilkes trials. “Fiat justitia ruat caelum” declared Willis, following Mansfield (“Let justice be done though the heavens fall”) and Willis frequently declared that he did not seek popularity or the approval of others. These ‘others’ often tended to be governors and his brother judges. Despite his insistence that he eschewed popularity, many of his most controversial statements fed right into the popular local politics of the day. In this regard, Heydon likewise looks to black-letter law rather than popular opinion. Like Willis he, too, dissented from his brother judges. In 2013 Professors Andrew Lynch and George Williams of UNSW analyzed Heydon’s performance on the High Court and found that he dissented on 40% of the matters on which he sat. Gabrielle Appleby has written a good article on The Conversation website on Heydon as a ‘black-letter’ judge, as does Tom Allard in The Age. Richard Ackland in the Saturday Paper gives a rather more damning appraisal. So what would Willis do? Pure speculation and ‘what-if’ery here, but I don’t think he’d stand down. He would see even the raising of the issue as a personal attack, and would turn it around onto his critics, the unions. He would almost certainly give a long and learned justification of whatever he decided to do, steeped in judicial and biblical allusions. What will Heydon do? I have no idea, but I suspect that he won’t stand down either. I may be wrong. There’s a very interesting recent article on the Inside Story website. wholesale condemnation of the anthropological endeavour has become shallow and moralistic, and an excuse for continued misperception of that complex, contradictory and contentious phenomenon known as “traditional Aboriginal culture.” There is a postcolonial fantasy that wants to achieve redemptive virtue by condemning the past rather than understanding the complex political and social legacy that colonialism created and bestowed on us all. While acknowledging that foundational Australian ethnographic texts used language that we now find offensive, she argues that ethnography- albeit implicated in colonial policies and practices – employed anti-racist, anti-colonial and even anti-state frameworks at the time. 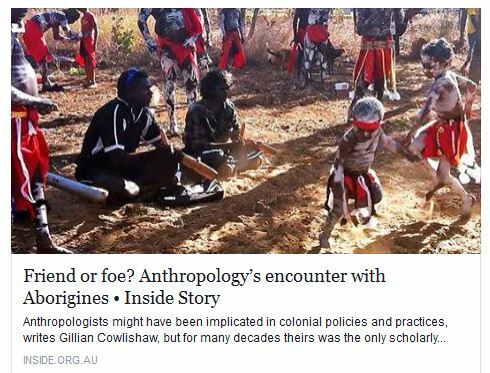 Her article is a reflection on the intersection of anthropology and politics, both black and white (she notes particularly the rise of ‘native title anthropology’) and her own development as anthropologist. It fits in well with the recent Message from Mungo documentary that was shown on NITV this week. [I must confess that this was the first time that I’ve watched NITV. It’s a pity that the Recognize campaign advertisements that ran during this program aren’t shown on ABC/SBS (or at least, I haven’t seen them) and commercial stations]. It was easy to mock the accents and demeanour of English archaeologists shown, but the documentary revealed well the range and contradictions between different specialities and world views. And Message from Mungo was echoed by last night’s documentary on the reburial service of Richard III’s remains at Leicester Cathedral in March 2015. The formality of the ceremony was sanctioned at the highest level of state with the Countess of Wessex in attendance and all the pomp and historical clout of the Anglican Church behind it. It struck me, listening to the choir which included girls and singers whose lineage was drawn from an empire undreamt of in Richard’s time, that it was a service that would have been completely foreign to Richard himself. 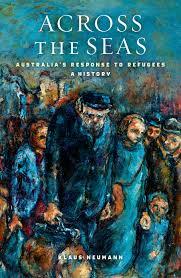 The desire to ‘show respect’ through ceremony sprang from the same urge voiced by those in the Mungo documentary. The Magna Carta has had a Big Year Out in 2015, the 800th anniversary of its signing. A search on ABC Radio National’s webpage will bring up lots of podcasts and programs, and arguably there’s quite enough podcasts about Magna Carta already. But I was rather taken by this one delivered by historian Linda Colley in 2014 from Backdoor Broadcasting. 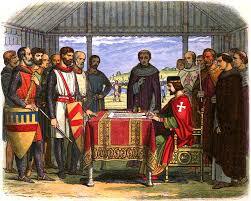 Abstract: 2015 will witness celebrations of the 800th anniversary of Magna Carta. Yet how this iconic text has been understood, used and commemorated has changed markedly over the centuries, not just in England, but throughout the British Isles and in the one-time British Empire. This lecture explores some of these shifts over time, and discusses how – and how far – the cult that evolved around this text can be related to the UK’s lack of a written constitution. She explores the nature of the Magna Carta as a written product and physical artefact and juxtaposes it with the American constitution. It’s delivered very (very) slowly and deliberately, and takes it as a historical and political phenomenon rather than a strictly legal one. Linda Colley (author of Britons and the excellent The Ordeal of Elizabeth Marsh which I reviewed here) is a historian of empire, and so she particularly deals with the influence of Magna Carta on nineteenth century colonies. What’s not to like about this? 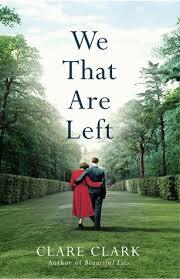 It’s a ‘Big House’ book, set in the years following World War I, with blurbs by Hilary Mantel and Amanda Foreman. I’m a sucker for Big House books- Brideshead Revisited, Atonement, Molly Keane novels- and I really enjoyed the post WWI setting of Sarah Waters’ The Paying Guests. The front cover (complete with a picture of backs) and the large font of my copy made me feel as if I was reading a Mills & Boon novel and so I nestled into this book as if it were a comfort read. It’s probably more than that. It is carefully researched (perhaps a little too carefully researched in places) and it picks up on themes like the dearth of men after WWI; the rush to spiritualism by bereaved families; and the effect of rising death duties on the Big House in a twentieth century that no longer pays deference to them and their crusty families. Nonetheless, there are some well-worn tropes here. Oskar Grunewalk, his name anglicized to Oscar Greenwood in those anti-German days, is the young outsider boy who flits around the edges of the golden family ensconced in the Big House, humiliated by and ill-at-ease with the favoured children of the family. There are two sisters, each very different from the other. Oscar is a mathematics prodigy, with an almost autistic fascination with numbers and details, and although treated as an interloper by the glamorous Melville family, he loves the old house, Ellinghurst. The book opens with the funeral of Sir Aubrey Melville, and we know that Oscar now -somehow- has charge of Ellinghurst. The question of how this has come about is the narrative thread that draws you through the book, and it did it well enough to find me reading the book in snatches, furtively, wishing that it wasn’t so cliched and yet enjoying the fact that it was. Read because: it was sitting there on the ‘New Books’ shelf.